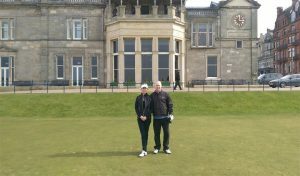 Like the sands on which it stands, the Old Course has never stood still, it is a living, breathing, dynamic landscape whose proud custodians such as Old Tom Morris and Allan Robertson have never feared change, instead choosing to embrace and look on as their work has been replicated or become a flag-bearer for golf the world over. The Swilcan Burn used to frequently meander across the course in various channels determined by tide and flood. On the 17th of December 1834 a Mr Bowrey was paid £4.10 by the town council for dumping rubbish and fill at the Swilcan Burn. In the same year, Mr Robert Goodfellow started to work with this refuse to build up the bank and then added a brick retaining wall to the burn. He set out 181 feet and 3 inches of stone, laid at six stones per foot. 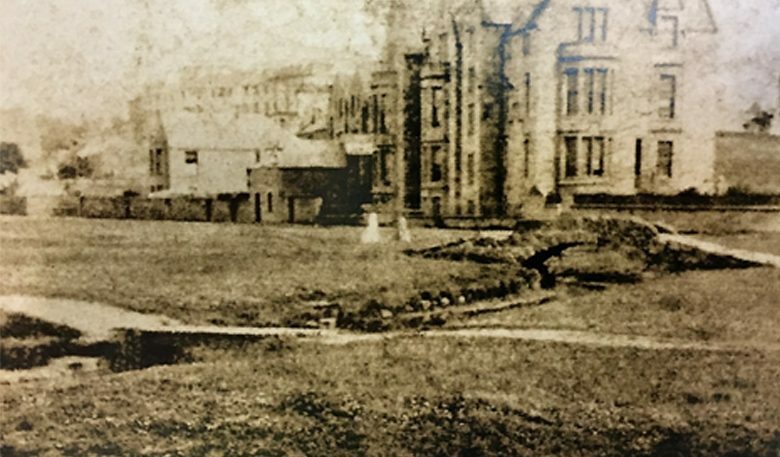 Goodfellow was paid on the 4th of April 1835 for completing “the retaining walls, built on the banks of the burn” and for also cleaning the burn too. This work set the course of the burn for the first time. Around 1869, over 30 years after Goodfellow’s work, Old Tom re-banked the burn and built up the area around it even more, so much so that almost half the bridge is under ground today. Also not perhaps common knowledge is the Swilcan Bridge, or Swilcanth as it was known, was not originally called the Swilcan Bridge. 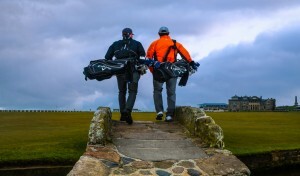 It was the Golfers’ Bridge and had been for hundreds of years. 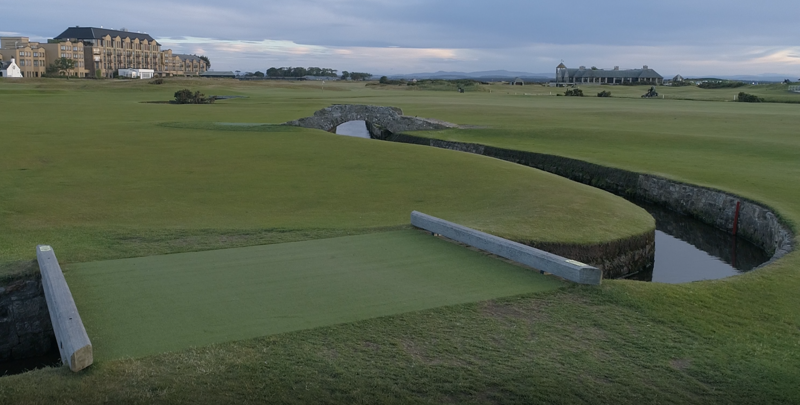 The original Swilcan Bridge is actually the road bridge 40 yards to the left if you are looking towards the 17th green from the 1st fairway (pictured below). It has been claimed that the bridge of today was originally a packhorse bridge (intended to carry horses loaded with side-bags or panniers). The low parapets (barriers) suggest it was designed so as to not interfere with the side-bags. 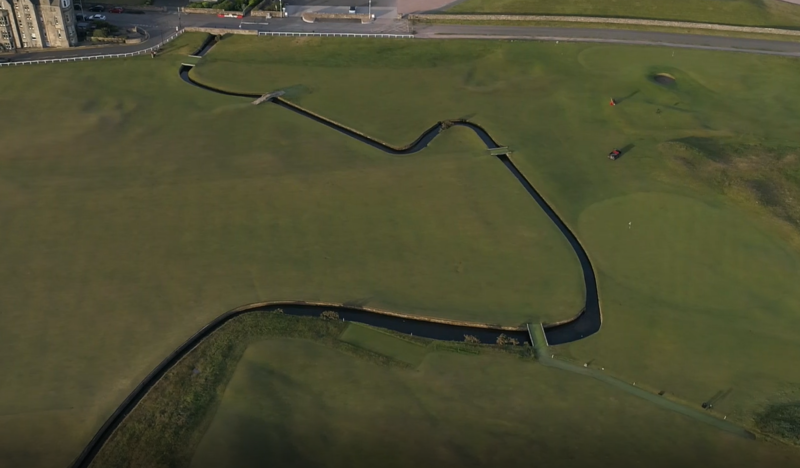 However, there are doubts from golf historians about this point and the consensus seems to be that it was only ever a golfers’ bridge. 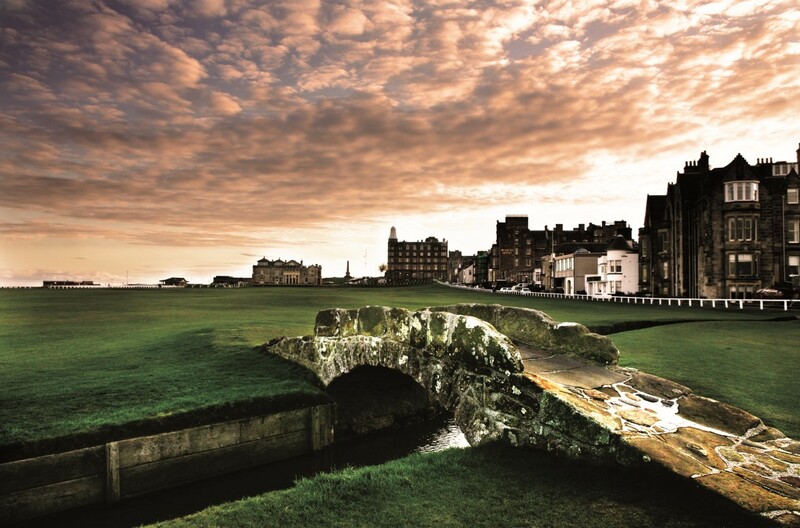 One thing that is indisputable is there are very few landmarks in the world of golf that are better known.